The request to Obama revives memories of Bill Clinton's 1996 controversial move. A red cactus flower sits on the trail to Murphy Point Overlook in the Island in the Sky District of Canyonlands National Park. Pho Nate Carlisle | The Salt Lake Tribune The Slickrock Trail in the Needles District of Canyonlands National Park has three designate Courtesy photo | Confluence of the Green River and Colorado River in Utah's Canyonlands National Park. The Green is on the left. Courtesy photo | Looking over the Green River from Island in the Sky at Canyonlands National Park. 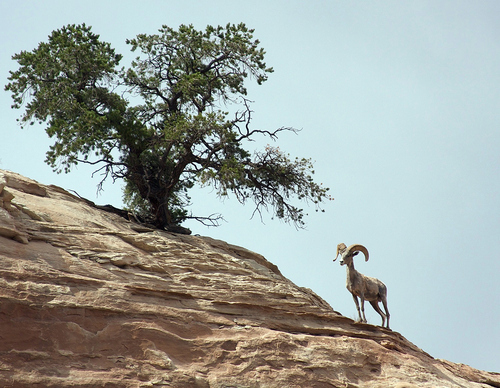 Photo by Mike Coronella Desert Bighorn Sheep taken in the Island in the Sky District of Canyonlands National Park. 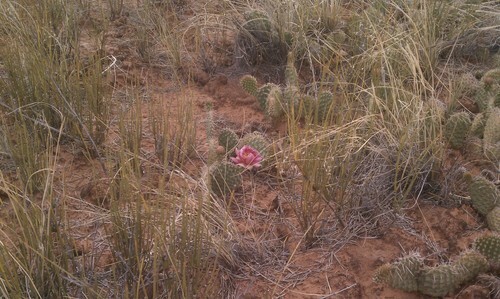 A red cactus flower sits on the trail to Murphy Point Overlook in the Island in the Sky District of Canyonlands National Park. Photo by Nate Carlisle/ The Salt Lake Tribune Nate Carlisle | The Salt Lake Tribune The Slickrock Trail in the Needles District of Canyonlands National Park has three designated viewpoints. 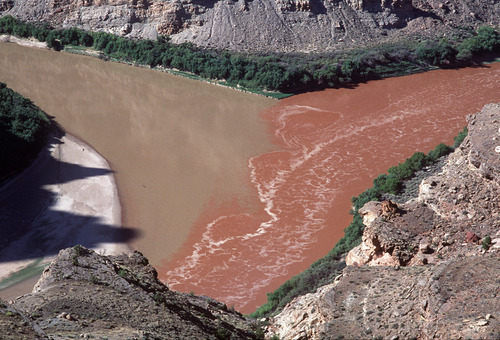 Courtesy photo | Confluence of the Green River and Colorado River in Utah's Canyonlands National Park. The Green is on the left. Courtesy photo | Looking over the Green River from Island in the Sky at Canyonlands National Park. Photo by Mike Coronella Desert Bighorn Sheep taken in the Island in the Sky District of Canyonlands National Park. The Outdoor Industry Association and more than 100 outdoor-related businesses are asking President Barack Obama to designate 1.4 million acres of federal wildlands surrounding Canyonlands National Park as a national monument. The OIA and businesses supporting the monument designation are sending a letter Tuesday to the president, asking for the protective designation of what is commonly called Greater Canyonlands. "The future of our outdoor recreation economy depends on protecting iconic landscapes  such as Greater Canyonlands  where people go to recreate," the letter reads. "And monument proclamation is an important and effective way to provide the protection that is needed." The Greater Canyonlands area includes geologic landmarks such as Labyrinth Canyon, Indian Creek, White Canyon, Fiddler Butte, Robbers Roost, Lockhart Basin and the Dirty Devil River. The area is under increasing pressure from what monument proponents say is off-road-vehicle abuse, proposed mining and oil and gas development. The OIA is the retailers group that brings to Utah its annual summer and winter markets, the state&apos;s largest conventions, which draw more than 46,000 visitors and $42.5 million annually to the local economy. For months OIA has been at odds with Utah Gov. Gary Herbert over the state&apos;s bid to reclaim more than 30 million acres of federally-controlled public lands. If it succeeds, Utah plans to sell or lease some of that land for development. In a statement provided to The Salt Lake Tribune by email Monday night, Herbert&apos;s spokeswoman Ally Isom said no one has formally approached the Governor&apos;s Office about a new proposed monument in Utah. "We certainly hope we don&apos;t have another [President] Bill Clinton approach to creating a monument," Isom said. 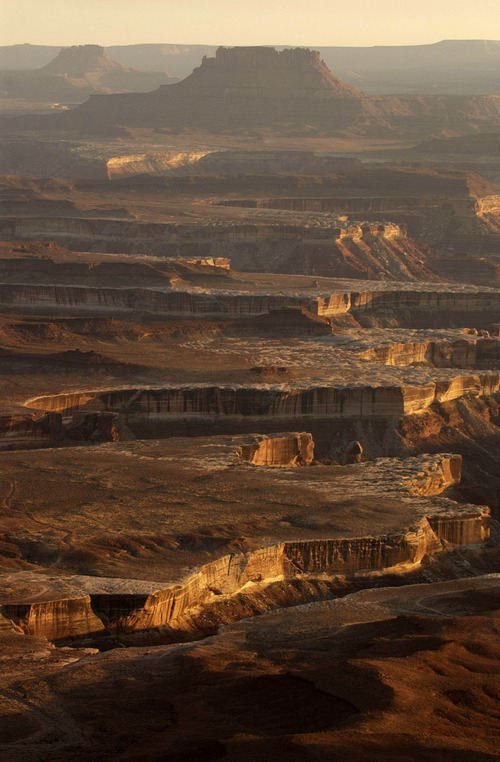 "Canyonlands was established by statute and any expansion ought to be rightly created by statute as well." 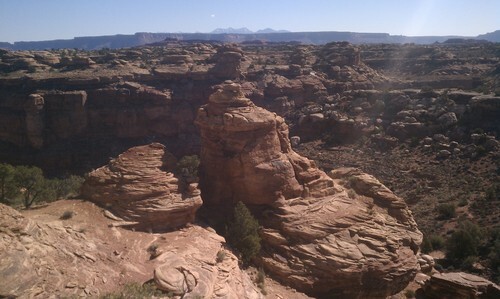 In March 2011, conservation groups  including the Southern Utah Wilderness Association, Sierra Club, National Parks Conservation Association, Great Old Broads for Wilderness and the Natural Resources Defense Council  also sent a letter to Interior Secretary Ken Salazar requesting protection from "rampant off-road-vehicle abuse, proposed uranium and tar sand mining, and oil and gas development." Little came from that request. The group signing this week&apos;s letter to the president  which includes more than 40 Utah businesses  hopes financial figures might get a better response. "The outdoor industry can&apos;t just sit back and hope the conservation community will take care of it all," said Ashley Korenblat, president of Western Spirit Cycling in Moab. "This really truly is about jobs. If we start taking away pieces of the world-class setting around Moab, it will impact our economy. "People talk about, &apos;How do we make money off of federal land?&apos; We are already doing that. We are making a living off of federal government holdings, but this whole thing is based on the assumption that the public lands are going to be worth visiting." The OIA and letter signers cite numbers from the Western Governors&apos; Association showing that in Western states alone, outdoor recreation spending equals almost $256 billion annually and supports 2.3 million jobs. OIA recently released numbers showing that outdoor recreation generated $646 billion in national sales and services in 2011 and supported 6.1 million jobs. A national monument is similar to a national park but can be established quickly by the president without congressional approval. Clinton used that power to create the 1.9 million-acre Grand Staircase-Escalante National Monument in southern Utah in 1996. The creation of the monument caused outrage among many Utah politicians who argued they didn&apos;t have a say in what happened inside their own state. The list of signers on the OIA letter includes nationally known brands including Patagonia, Camelbak, Eastern Mountain Sports, and prAna, as well as Utah-owned businesses such as Black Diamond Equipment, Backcountry.com, Petzl, Rim Tours, Moab Cliffs and Canyons and Canyon Voyages Adventure Co.
Tribune reporter Jennifer Dobner contributed to this story.